Dr. Li Erran Li is the chief scientist at Pony.ai and an adjunct professor at Columbia University. Most recently, he was with the perception team at Uber ATG and machine learning platform team at Uber. Before that, he was at Bell Labs. Dr. Li’s current research interests are machine learning, computer vision and learning-based robotics. Dr. Li has a PhD from the Computer Science Department at Cornell University. Dr. Li is an IEEE Fellow and an ACM Fellow. Pollefeys, Marc (ETH-Zurich) He is a full professor and head of the Institute for Visual Computing of the Dept. of Computer Science of ETH Zurich which he joined in 2007. He leads the Computer Vision and Geometry lab. Previously he was with the Dept. of Computer Science of the University of North Carolina at Chapel Hill where he started as an assistant professor in 2002 and became an associate professor in 2005. Before he was a postdoctoral researcher at the Katholieke Universiteit Leuven in Belgium, where he also received his M.S. and Ph.D. degrees in 1994 and 1999, respectively. His main area of research is computer vision. One of his main research goals is to develop flexible approaches to capture visual representations of real world objects, scenes and events. Dr. Pollefeys has received several prizes for his research, including a Marr prize, an NSF CAREER award, a Packard Fellowship and a ERC Starting Grant. He is the author or co-author of more than 280 peer-reviewed papers. He will be a general chair for ICCV 2019, and was general chair for ECCV 2014 in Zurich, program chair for the IEEE Conf. on Computer Vision and Pattern Recognition 2009 and was co-chair of the Third Symposium on 3D Data Processing, Visualization and Transmission and has organized workshops and courses at major vision and graphics conferences and has served on the program committees of many conferences. He is a regular reviewer for most of the major vision, graphics and photogrammetry journals. Prof. Pollefeys is/was on the Editorial Board of the IEEE Transactions on Pattern Analysis and Machine Intelligence, the International Journal of Computer Vision, Foundations and Trends in Computer Graphics and Computer Vision and several other journals. He is an IEEE Fellow. Rus, Daniela (MIT) she is the Andrew (1956) and Erna Viterbi Professor of Electrical Engineering and Computer Science and Director of the Computer Science and Artificial Intelligence Laboratory (CSAIL) at MIT. Rus’ research interests are in robotics, artificial intelligence, and data science. The focus of her work is developing the science and engineering of autonomy, toward the long-term objective of enabling a future with machines pervasively integrated into the fabric of life, supporting people with cognitive and physical tasks. Her research addresses some of the gaps between where robots are today and the promise of pervasive robots: increasing the ability of machines to reason, learn, and adapt to complex tasks in human-centered environments, developing intuitive interfaces between robots and people, and creating the tools for designing and fabricating new robots quickly and efficiently. Rus is a Class of 2002 MacArthur Fellow, a fellow of ACM, AAAI and IEEE, and a member of the National Academy of Engineering and the American Academy of Arts and Sciences. She is the recipient of the 2017 Engelberger Robotics Award from the Robotics Industries Association. She earned her PhD in Computer Science from Cornell University. Weiberger, Kilian (Cornell University). He is an Associate Professor in the Department of Computer Science at Cornell University. He received his Ph.D. from the University of Pennsylvania in Machine Learning under the supervision of Lawrence Saul and his undergraduate degree in Mathematics and Computing from the University of Oxford. During his career he has won several best paper awards at ICML (2004), CVPR (2004, 2017), AISTATS (2005) and KDD (2014, runner-up award). In 2011 he was awarded the Outstanding AAAI Senior Program Chair Award and in 2012 he received an NSF CAREER award. He was elected co-Program Chair for ICML 2016 and for AAAI 2018. In 2016 he was the recipient of the Daniel M Lazar '29 Excellence in Teaching Award. Kilian Weinberger's research focuses on Machine Learning and its applications. In particular, he focuses on learning under resource constraints, metric learning, Gaussian Processes, computer vision and deep learning. Before joining Cornell University, he was an Associate Professor at Washington University in St. Louis and before that he worked as a research scientist at Yahoo! Research in Santa Clara. She is currently a fourth-year PhD student in the department of Computer Science of the University of Hong Kong. Her research interests include autonomous driving, robotics, computer vision, and computer graphics. She has published papers in AAAI, Science Robotics, AAMAS, SIGGRAPH ASIA, SGP, PCM, CSCS, etc. She got the Hong Kong PhD Fellowship Award (HKPFS) in 2015. She visited French Institute for Research in Computer Science and Automation (INRIA) in 2016 and the University of North Carolina at Chapel Hill (UNC) in 2017. 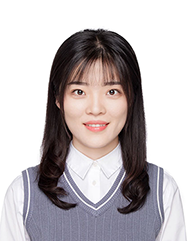 She interned in the Robotic and Autonomous Driving Lab of Baidu in 2018.